Entercom, the #1 creator of live, original, local audio content in the United States, congratulates KYW Newsradio 1060 (KYW-AM) Community Affairs Reporter Cherri Gregg on being recognized by the National Association of Black Journalists (NABJ) with a “Salute to Excellence Award” at the 2018 NABJ Salute to Excellence Gala in Detroit. This marks the second consecutive year Gregg has been recognized by the organization. Gregg was recognized in the “Public Affairs” category in Top 15 Markets, Radio for a segment from her weekly program “Flashpoint,” titled “Police Transparency – When Should Names of Officers Who Kill Be Released?” “Flashpoint” airs Saturdays at 9:30 p.m. ET and Sundays at 8:30 a.m. ET. “It comes as no surprise that Cherri has been recognized once again for the exemplary work she contributes to KYW,” said David Yadgaroff, Senior Vice President and Market Manager, Entercom Philadelphia. “The hard work she has committed to ‘Flashpoint’ in less than a year demonstrates why she is deserving of this honor. Launched in 2017, “Flashpoint” discusses community affairs, political news, civil rights and social issues in the Philadelphia area. 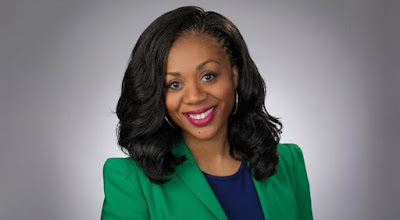 In 2017, NABJ honored Gregg with a “Salute to Excellence Award” in TV Investigative Top 15 Markets for her piece, “Driving While Black,” a collaboration between Entercom and CBS3-TV. Gregg joined Entercom in 2010. She’s a recognized leader in the Philadelphia Association of Black Journalists, where she served in the roles of President from 2015 to 2016 and Vice President of Broadcast in 2013. Listeners can tune in to KYW Newsradio 1060 on air in Philadelphia, as well as nationwide on the Radio.com app. Fans can also connect with the station via social media on Facebook, Twitter and Instagram.